The applicant must account for authorisations from relevant authorities and ethical aspects of the project. A clear time plan organised by work packages, manning and resources with corresponding budget. It is vital that final reporting is done by 1 May 2020 for the results to be included in the overall evaluation of the pilot programme. The project can apply for full or partial funding. If the project has applied for or has been granted funds from other sources, it must appear from the application. The funds under this call for applications are not available to projects that have already been granted full or partial funding from the DKK 5 million allocated for accumulation of scientific knowledge during the medicinal cannabis pilot programme under the ‘Agreement for special funds in the health and elderly care area for 2017-2020’. Besides the project description, the application must describe the qualifications of the applicant(s) and describe the relevant research completed previously by the applicant(s). A concise and relevant CV must be enclosed for each project participant. The description must also cover any collaboration partners in the project. The applicant must account for any past and present relationships with the pharmaceutical industry and companies engaged in medicinal cannabis, including the nature thereof, tasks, medicines and medicinal cannabis currently in use or tested, etc. The description must also cover any collaboration partners in the project. The Danish Medicines Agency will forward all applications received in time to the Innovation Fund Denmark. The Innovation Fund Denmark then makes a research scientific evaluation of the applications received. The applications that the Innovation Fund Denmark considers eligible for funding are then put in order of priority by a monitoring group. The monitoring group recommends an order of priority to the Danish Medicines Agency. The Danish Medicines Agency then sends a recommendation to the Ministry of Health, which decides on the allocation of research funds. Grants or refusals will be communicated to applicants via email by end-September 2018 at the latest, and an announcement will be issued on the website of the Danish Medicines Agency. It is estimated that one or two projects will be eligible for funding. 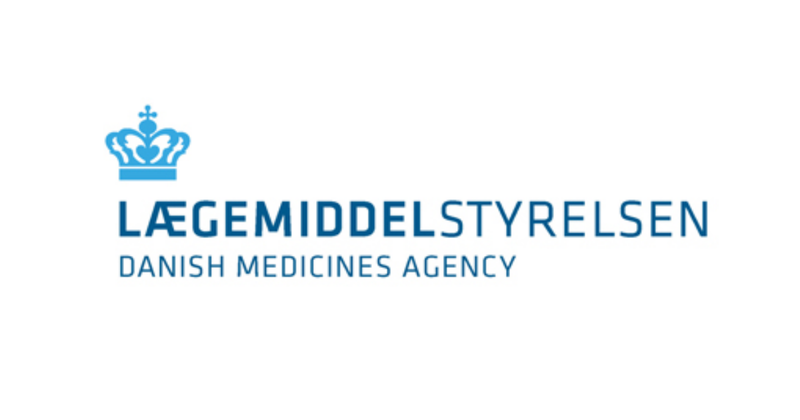 The Danish Medicines Agency sets up a monitoring group with participants from relevant councils, organisations and associations that have knowledge of the aspects of medicinal cannabis. A member of the monitoring group cannot also be an applicant or a project participant in applications for appropriation of the funds. The application must be sent electronically as a PDF file to the Danish Medicines Agency by email to medicinskcannabis@dkma.dk. The Danish Medicines Agency must receive the application no later than 22 May 2018 with the following text in the subject field: ”Application for funding – accumulation of knowledge about the use and effect of medicinal cannabis”. Further information is available from Chief Medical Officer Eskild Colding-Jørgensen or Legal Adviser Karen Juul Jensen on tel. +45 44 88 95 95 or medicinskcannabis@dkma.dk.